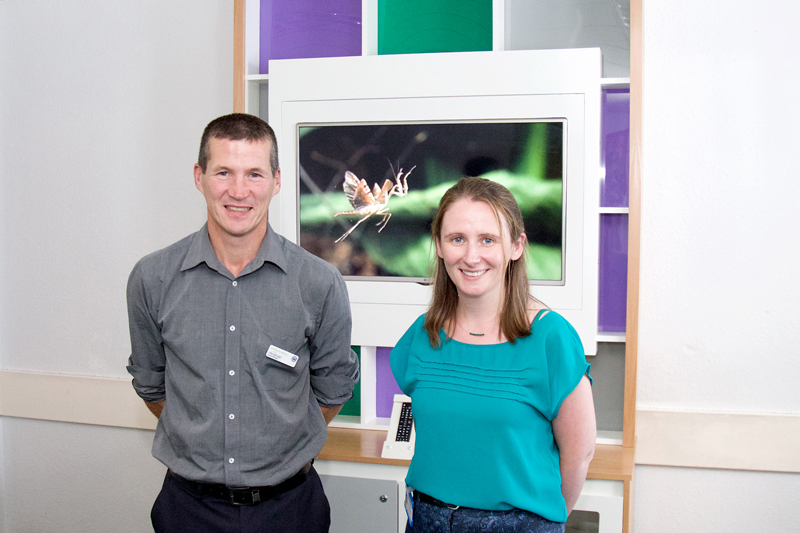 The St James’s Hospital Foundation is now taking applications for our annual Small Grants Competition. The competition, now in its 11th year, is open to all members of St James’s Hospital staff. 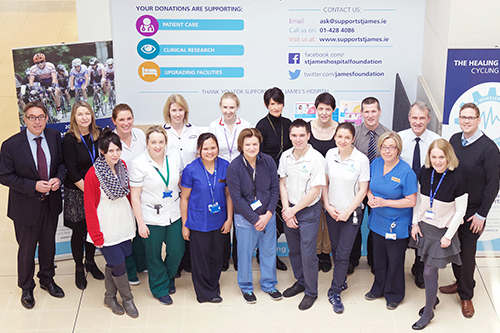 Through this programme, the Foundation aims to support, during 2017, small-scale initiatives and projects within the hospital that will improve how patients are treated and/or their welfare or general wellbeing, education and research and the general environment of the campus for the benefit of patients, visitors and all staff. Individual grants will be awarded from €500 up to €2,500. The funds to provide these grants represent unsolicited general donations and this year €50,000 is available for the programme. 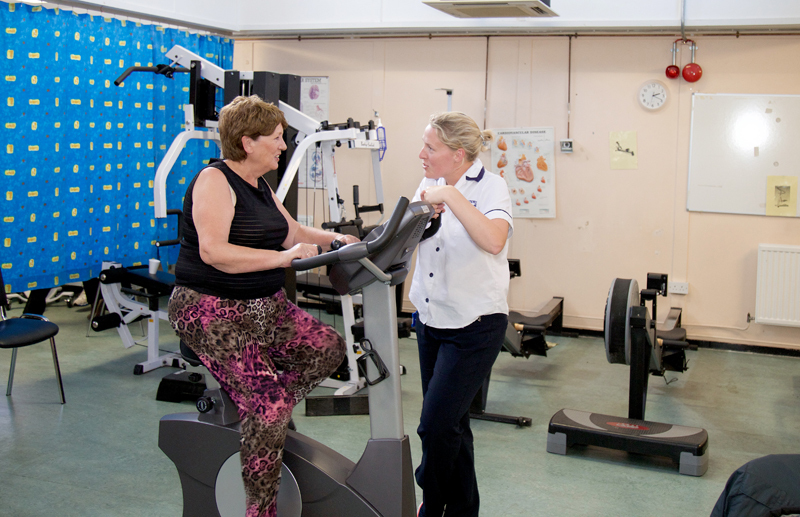 Cardiac rehabilitation classes have been significantly improved for our patients, many of whom are recovering from significant cardiac events and major surgeries. 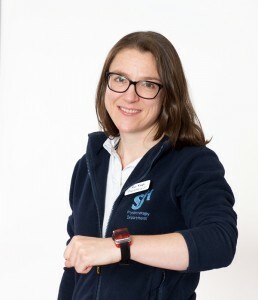 All of the 300+ patients who attend cardiac rehabilitation per year for 6 and 8 weeks at a time have benefited greatly from using the cross trainer provided by the St. James’s Hospital Foundation. This cross trainer enables patients to get more benefit from attending cardiac rehabilitation as it ensures they are exercising optimally and safely. We are very grateful to the St. James’s Hospital Foundation for providing such a fantastic piece of equipment. 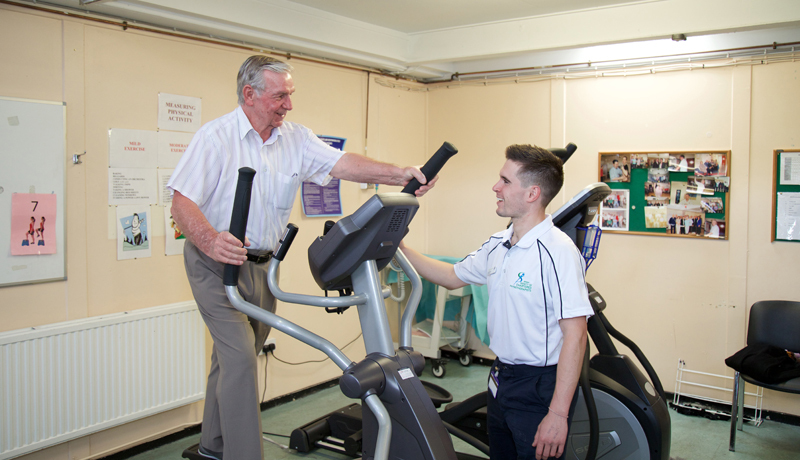 We used funding from the SJH Foundation to purchase a state of the art new upright exercise bike for patients attending our pulmonary rehabilitation programme. The equipment has allowed us to more accurately prescribe the training load in order to maximise the benefits patients get from attending the programme. Patients have reported that the new bike is significantly more comfortable than a previous model, with a digital display that gives them feedback on their performance. 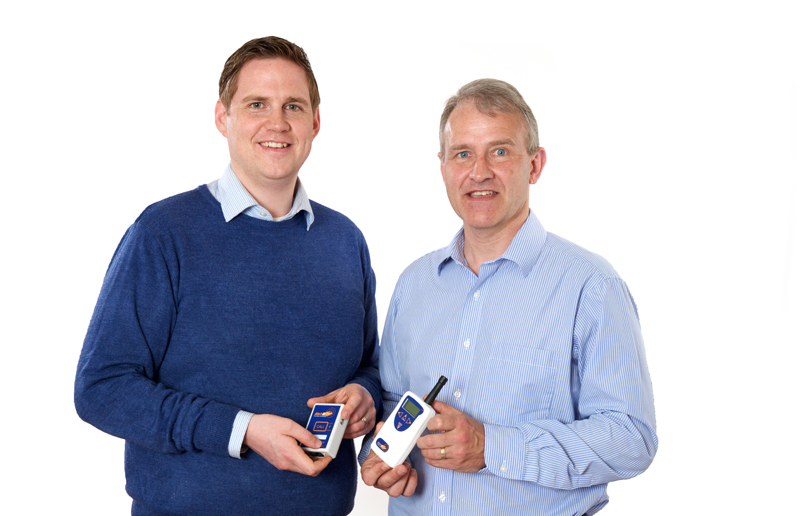 Receiving Actigraph accelerometers will help us to understand the physical activity patterns of people with chronic disease, and the impact this may have on their health. Time spent sitting is receiving attention in research and the accelerometers will able to capture this also. This gives us potential to look at our staff in the hospital and help with the promotion of a healthy work place. I look forward to engaging students in small clinical research projects in this way and encouraging an evidence base culture in our workplace. 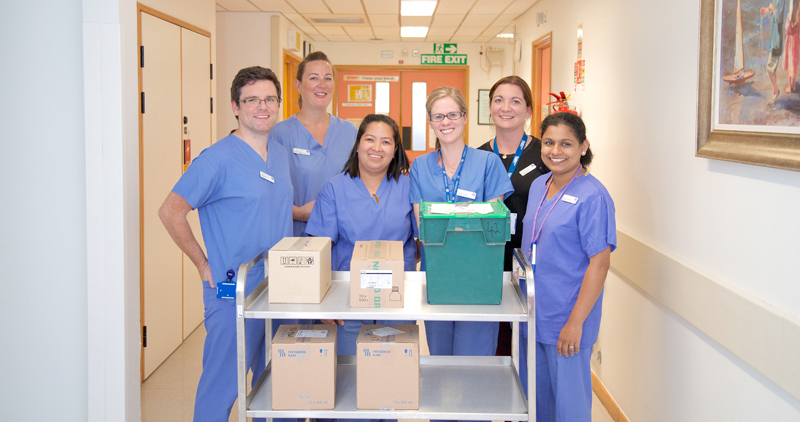 The dedicated CCA (Critical Care Assistant) Trolley has enabled and facilitated a safer working environment. The trolley is used on a 24 hour basis for the transfer of bulky and often heavy stock and equipment between the ICU & HDU environments. The challenge for any modern mental health unit is to provide a calm, therapeutic and non-institutional atmosphere and yet balance that with the required safety considerations that furniture and fittings be durable, easily maintained and abuse resistant. The purpose built floor to ceiling TV storage unit, designed by local carpenters, has met with the above objectives. It provides safe and secure viewing, with tamper proof design and is bright and aesthetically pleasing. Feedback from staff and service users has been very positive.